The TECT All Terrain Park is a new 1650 hectare Regional Park developed jointly by Tauranga City Council and Western Bay of Plenty District Council, and sponsored by the Tauranga Energy Consumer Trust (TECT). The Park is located on Pyes Pa Road between Tauranga and Rotorua. It is aimed at catering for range of active and passive recreational activities including mountain biking, horse riding, motor sports, shooting and walking. Boffa Miskell was involved with various components of the project including the masterplanning of the parks central hub, mountain bike hub, park signage and activity shelters. “Learn, play, create and care” – these are amongst the key objectives inherent in the master plan. The objectives were brainstormed with potential park user groups in a collaborative design process. The master plan provides for staged development over two decades from 2009, and began with the central hub site which is the main arrival point and focus of visitor facilities. The staged approach also allows for the Master Plan vision to be implemented as budget becomes available. 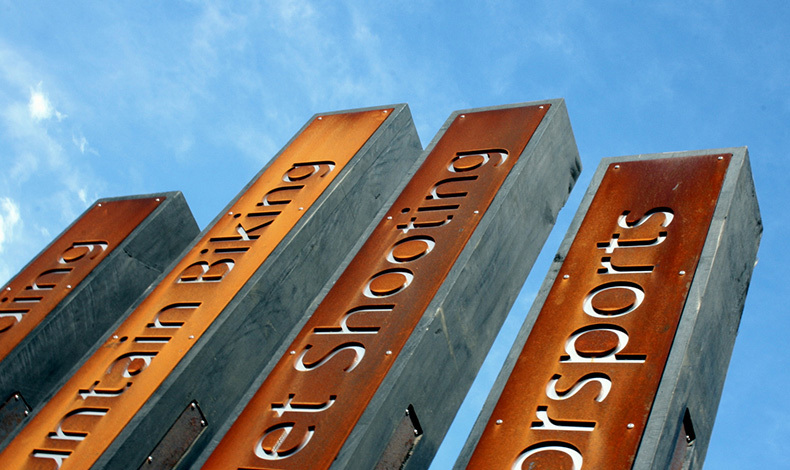 The signage design was developed in keeping with the context of the park, portraying the environment, history and bold nature of activities at the park. Materials used were selected for their durability, aesthetic and natural character, consistent with park branding and the nature of the outdoor activities offered at the park. As well developing park signage, we were also commissioned by the Western Bay of Plenty District Council to compile a signage design manual which would provide ongoing guidance on the placement, design and implementation of signs within the park. Well designed and located signage is key to enhancing the experience of park users. Our cultural background research also revealed that former Maori walking paths passed by the hub and this significance has been, and will continue to be, recognised in site development. The park was officially opened in late 2009. Masterplanning, development strategy and detailed design.